This t-shirt is comfortable, soft, lightweight, and form-fitting. It’s an ideal staple for any wardrobe! 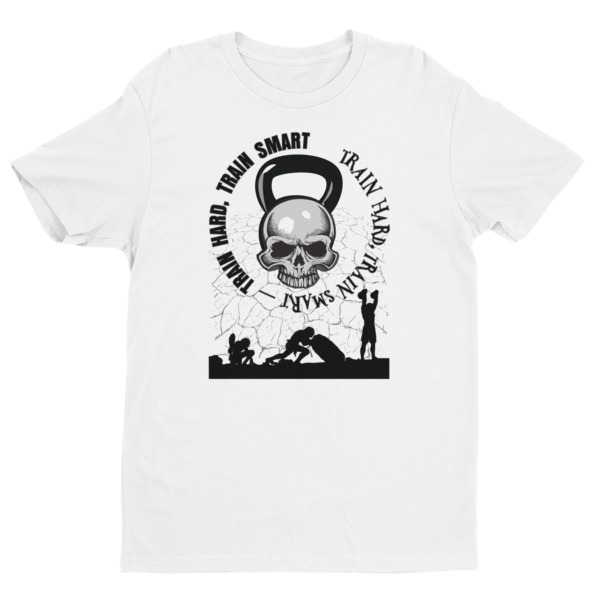 Printed with the Cavemantraining logo, skull, and slogan: Train Hard, Train Smart. I wear this T with pride… The fit is good with no uncomfortable labels or stitching rubbing on your skin. Taco kept in contact throughout the process and offered alternatives if required. I will be ordering more gear soon, as like in BJJ you can not have enough. Say strong everyone..